Availability: Expected to begin shipping May 24, 2019. 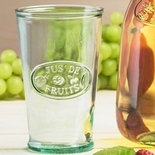 The first jars made just for jams and jellies appeared in the late 1600s. 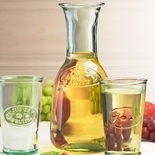 Because of their shape, they quickly became popular as drinking glasses. 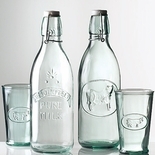 These fun jelly-jar inspired glasses have a molded cow emblem. 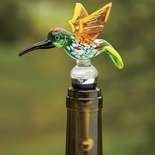 Made in Italy from recycled glass. 5"h, 3 1/4" dia., 12 oz capacity. Backordered until late May 2019.